In 2009, the Prototyp car museum in Hamburg, Germany, organised a special two-month exhibit where 25 classic, streamlined automobiles had an unprecedented "aerodynamic rendezvous". The exhibition included such automotive gems as the 1940 BMW Mille Miglia Touring Coupe, the 1977 Mercedes-Benz C111/III, Porsche's 356 Pre-A coupe of 1950, Petermax Muller's 1938 World Record Volkswagen, Das Auto magazine founder Paul Pietsch's 1952 Avus Coupe, and the Kamm K3 from 1938. Michel Zumbrunn, who specialises in classic cars, photographed this unique exhibition of never-before-shown-together works of art. 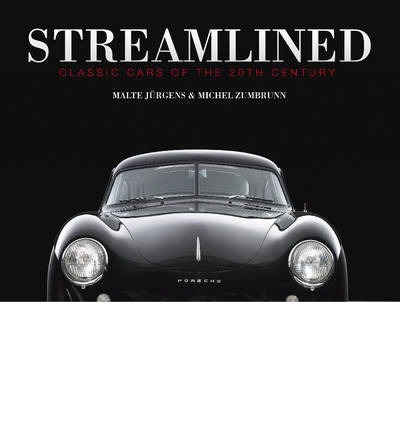 The result is this book, an unparalleled artistic documentation of the history of the aerodynamically optimised automobile. Anyone with a passion for classic cars and the science of aerodynamics will revel in these gorgeous images coupled with historical and technical information based on research by renowned experts.